In planning migrations to EMV chip technology, acquirers/processors need to consider the requirements to support contact and contactless EMV chip technology and the support that will be required to equip merchants with EMV-compliant POS solutions. The resources on this site provide a range of educational material – from EMV basics to detailed guidance on what acquirers and processors need to implement to support chip card transactions. This video explains what chip cards are, why consumers are receiving them, and how to use them in stores and at ATMs. These recorded webcasts were developed by the Payments Security Task Force and EMV Migration Forum to provide educational resources for U.S. value added resellers, independent software vendors and merchant. This recorded webinar provides a primer on EMV chip payments. The webinar provides comprehensive overview of EMV chip payments, including the EMV transaction flow and options for card authentication, cardholder verification and transaction authorization. This EMV Migration Forum infographic explains the must-know facts about U.S. EMV Migration. This interactive PowerPoint presentation provides an overview of the full EMV ecosystem, with participants who play roles in EMV issuance, acceptance and transaction processes. This FAQ answers common questions about EMV. Developed by the U.S. Payments for merchants and issuers, the GetContactless.com web site provides easy-to-use resources for merchants interested in enabling consumers to make contactless payments. Developed by the EMV Migration Forum and the Payments Security Task Force for consumers, merchants and issuers, the GoChipCard.com web site provides easy-to-use and simple resources, and consistent messages about chip cards and their use. Merchants and issuers are encouraged to use the website content in developing communications with customers, cardholders and employees. Merchant and issuer resources include a training FAQ, a merchant infographic and communications best practices. This resource defines the minimum card and terminal EMV requirements for payment networks American Express, Armed Forces Financial Network (AFFN), China UnionPay, Discover, Jeanie, MasterCard, NYCE, PULSE, SHAZAM, STAR and Visa, in the context of the U.S. electronic payments marketplace and the October 2015 liability shifts. This updated U.S. Payments Forum white paper reviews payment network fraud liability policies for EMV contact and contactless transactions in the U.S.
See how chip cards are used to pay with this short video. This recorded webinar provides guidance to help industry stakeholders create sound communication strategies that will help the U.S. market understand and embrace chip payments and their many security benefits. The EMV Migration Forum developed a glossary that defines a set of standard terminology for common chip, EMV, and EMV migration terms for use in educational and marketing communications relating to the U.S. migration. This guide provides a step-by-step resource for issuers and merchants to develop effective messaging and education approaches during the U.S. migration to chip technology. This video recording reviews EMV Cardholder Verification Method concepts, implementation and impact on issuers, ATM owners, merchants, and cardholders. This U.S. Payments Forum resource provides guidance to assist merchants, acquirers and issuers with contactless payments implementation. This Smart Card Alliance white paper was developed to provide an educational resource on EMV chip migration for the healthcare industry. The white paper describes EMV chip technology, discusses the impact of EMV for healthcare providers and hospital systems, and outlines how the healthcare industry can prepare for EMV chip migration. The EMV Migration Forum developed this searchable web resource to provide easy-to-find answers on commonly asked questions about best practices for implementing EMV chip technology. This white paper discusses the appropriate treatment and mitigation of both counterfeit and lost/stolen chip liability shift chargebacks occurring after the liability shift dates for contact chip cards used in attended transactions. The white paper includes best practices for issuers, merchants (both chip-enabled and non-chip-enabled) and acquirers. The U.S. Payments Forum developed this guidance document for merchants, independent software vendors (ISVs), value-added resellers (VARs) and acquirers/processors who may have been experiencing high fallback rates. The guidance outlines potential causes of fallback transactions and actions that can be taken to address the problem. This Smart Card Alliance white paper explains how EMV and NFC are companion technologies and clarify how they work together to enable secure payments. This Smart Card Alliance white paper was developed in partnership with theInternational Parking Institute to provide parking industry stakeholders with an educational resource about the critical aspects of deploying an EMV solution in the parking infrastructure. The EMV Migration Forum Testing and Certification Working Committee published this updated white paper to define the current processes required to test EMV chip transactions with American Express, Discover, MasterCard, and Visa. The white paper is intended to provide a clear approach to acquirer host and EMV chip terminal testing and certification and includes examples of use cases that identify when testing or retesting is required for EMV chip and contactless terminals, when retesting is recommended as a best practice, and when only standard internal testing is advised. This U.S. Payments Forum white paper provides guidance for ATM owners/operators to help prevent and troubleshoot common transaction problems. Guidelines for Contactless ATM Transactions – A Guide for ATM Owners and Operators. This U.S. Payments Forum white paper provides guidelines and best practices for accepting contactless transactions completed with Near Field Communication (NFC)-enabled mobile wallets and contactless-enabled chip cards at the ATM. This EMV Migration Forum white paper provides an educational resource for stakeholders responsible for the implementation of EMV at the ATM in the U.S. This EMV Migration Forum white paper provides guidance provide for ATM owners and issuers who are contemplating implementing PIN change at the ATM as part of, or subsequent to, their U.S. EMV migration. This video recording provides an overview of the U.S. Common Debit AIDs and how they facilitate debit transaction routing and ensure Durbin compliance. This brief discusses the security features of EMV chip payment technology and summarizes how these features strengthen the security of payment transactions. The U.S. Payments Forum is providing information on how to best manage tips and gratuities as the U.S. migrates to chip, and what options restaurant owners and other merchants in travel and entertainment can pursue. This document is intended to provide a high-level overview of tip processing in EMV chip environment. Payments Forum resource provides a tool for gathering information to determine the source of transaction errors. This white paper was developed to discuss best practices for merchants processing EMV chip transactions when communications are disrupted. The white paper discusses three processing options: EMV offline authorization; deferred authorization of an EMV card transaction; and force post of an EMV card transaction. This U.S. Payments Forum white paper presents on three categories of approaches to help speed transactions and discusses their potential impacts for each stakeholder group in the U.S. payments ecosystem: “Faster EMV” solutions, contactless/Near Field Communication (NFC) transactions, and other EMV checkout optimization practices. For each category, a detailed description and analysis are presented, including considerations and implications for various stakeholder groups. This U.S. Payments Forum Petroleum Working Committee resource answers frequently asked questions about EMV chip implementation for petroleum retailers. The white paper was developed to provide an educational resource on the EMV function of PIN Entry Bypass, how it can be implemented in the U.S. market, other actions that may process transactions allowing selection of cardholder verification method, and how those actions differ from PIN Entry Bypass. This U.S. Payments Forum white paper reviews suggested best practices for capturing and storing signatures on receipts, with input from global and domestic payment networks. This white paper describes the role of EMV, encryption and tokenization for securing the payments infrastructure and preventing payment fraud. This U.S. Payments Forum glossary defines terms used in acquirer EMV testing and certification forms. This EMV Migration Forum white paper defines recommendations for a debit technical framework for the U.S. payments industry. This Smart Card Alliance white paper provides a fresh look at contactless payments in the current U.S. payments environment that is embracing both EMV and NFC-enabled mobile devices. Contactless Payments: Proposed Implementation Recommendations. 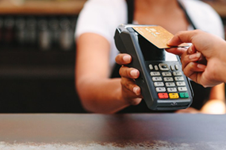 This Secure Technology Alliance white paper discuss the challenges of issuing, accepting and processing ISO/IEC 14443/NFC contactless transactions and to help the market work through pre-EMV and post-EMV challenges to promote contactless issuance and acceptance. This Smart Card Alliance Q&A document answers questions about the security of contactless payment transactions. This Smart Card Alliance white paper was developed to outline a vision for healthcare identity authentication and payments convergence and to provide insight into the opportunities and challenges afforded to the healthcare community as the U.S. migrates to EMV. This white paper discusses the impact of and need to address card-not-present fraud in conjunction with migration to EMV in the U.S. This U.S. Payments Forum white paper reviews the status of CNP fraud in countries that have migrated or are in the process of migrating to EMV. Included are statistics and information for the U.K., France, Australia, Canada and the U.S. from numerous sources. This EMV Migration Forum white paper provides an educational resource on the existing best practices for authentication methods and fraud tools to secure the card-not-present (CNP) channel, given the potential increase in CNP fraud as EMV chip cards replace magnetic stripe only cards in the U.S.
EMV Workshop for VARs, ISVs and ISOs. This recorded workshop provides a comprehensive review of chip technology and focused sessions on the development process and implementation best practices. How EMV Changes Payment Workshop. This video workshop provides an in-depth educational resource to assist issuers, acquirers/processors and merchants plan for EMV migration. This recorded U.S. Payments Forum webinar provides an overview of EMV chip technology and key considerations for petroleum merchants migrating to EMV. This webinar, hosted by the Smart Card Alliance Payments Council, discusses the opportunities that contactless EMV payments offer to issuers. The webinar answers the most important questions about the adoption of contactless payments, such as: how contactless fits into today’s payment industry; what is different from earlier adoption attempts; and why the ideal time to go contactless is now. This webinar, hosted by the Smart Card Alliance Payments Council, discusses the opportunities that contactless EMV payments offer to merchants. The webinar answers the most important questions about the adoption of contactless payments, such as: how contactless fits into today’s payment industry; what is different from earlier adoption attempts; and why the ideal time to go contactless is now. This recorded U.S. Payments Forum webinar discusses the appropriate treatment and mitigation of both counterfeit and lost/stolen chip liability shift chargebacks occurring after the liability shift dates for contact chip cards used in attended transactions. EMV for Merchants and Acquirers: U.S. Migration Considerations. This webinar provides a primer on EMV for U.S. merchants and acquirers. The Smart Card Alliance and EMVCo hosted a two-part webinar series to review the status of payment specifications and tokenization. This EMV Migration Forum webinar recording provides a non-technical review of the critical components of the EMV implementation process at ATMs. This webinar, held in partnership with the National Retail Federation, will provide guidance to educate merchants on the global use of chip cards, the status of the U.S. migration, considerations for making the decision to accept chip payments, and tools to begin project planning for chip card acceptance implementation. Near-Term Solutions to Address the Growing Threat of Card-Not-Present Fraud webinar. This recorded webinar discusses the best practices for authentication methods and fraud tools to provide protection of the card-not-present channel. This Secure Technology Alliance white paper provides a primer on biometric payment cards for issuers, issuer processors, payment networks and merchants. white paper with a primer on EMV and actions that need to be taken to issue EMV chip cards and to accept and process EMV chip transactions. The Changing U.S. Payments Landscape: Impact on Payment Transactions at Physical Stores, white paper reviewing new innovations in payment trends and devices. the potential costs that could be incurred as a result of a data breach.